Realize your dream holiday in one of these timeless and elegant holiday apartments which are located in the village of Podsolarsko, near the well-known Solaris resort, near Šibenik. Realize your dream holiday in one of these timeless and elegant holiday apartments which are located in the village of Podsolarsko, near the well-known Solaris resort, near Šibenik. The cozy apartment CDJ527 with three bedrooms spreads over two floors, the second floor and the attic with the minimum ceiling height of about 80 cm. The floors are connected by a spiral staircase. The apartment CDJ528 is on the first floor and the apartment CDJ529 is on the ground floor. 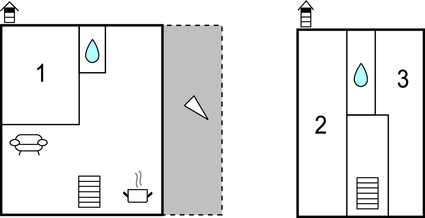 While each apartment has its own terrace, all guests of the apartment house have a shared barbecue on the plot. Recommended is a visit of the historic city of Šibenik and the beautiful national parks Krka and Kornati. This beautiful modern apartment is made from brick or stone and was recently built in 2017. The agent has rated it as a five star property so it is one of their best apartments - tastefully furnished and fully equipped. It is also great value for money. 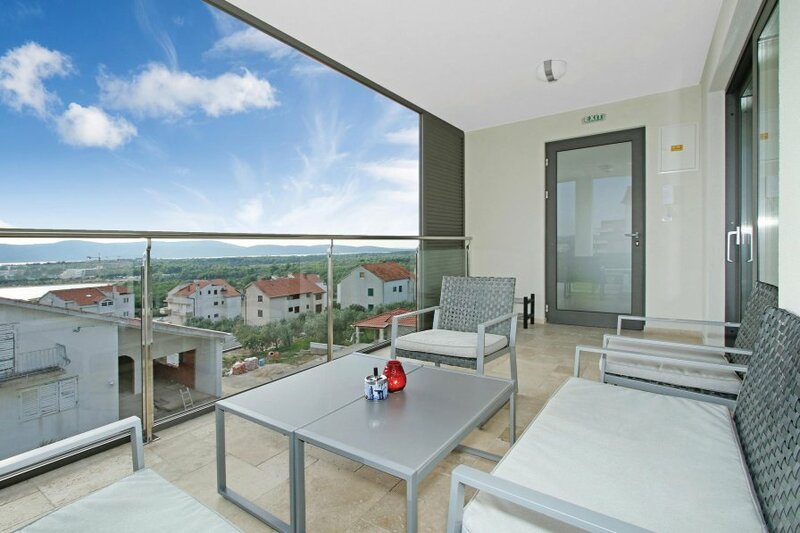 This apartment has beautiful panoramic view over water; it is also only 6km from Sibenik. It is set in a very convenient location, just 350 metres away from a stone and pebble beach. There's also a restaurant only 100 metres away.